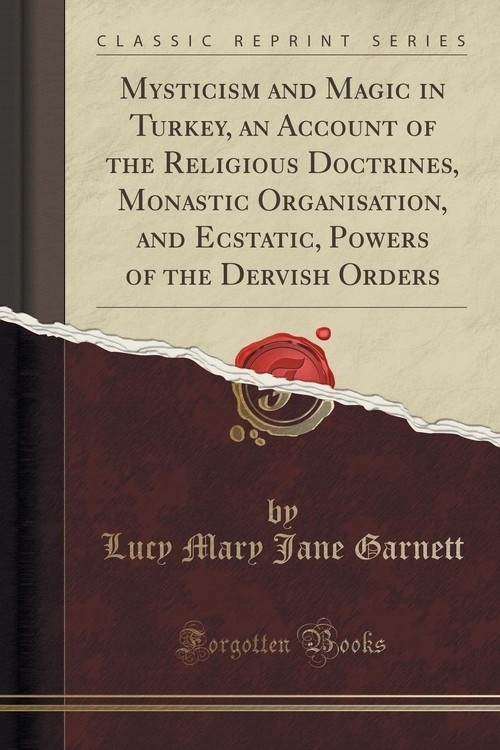 My aim in this volume has been to give a thoroughly impartial account of the Dervishes of Turkey, so far as my knowledge of their principles and practices will allow, neither unduly concealing their lower, nor unduly exalting their higher aspects. And I would fain hope that this brief study of the Mystics of Islam may be found to have not only a speculative and religious, but also a practical and political interest. In controversies with respect to Islam and Civilisation, no account is usually taken of the Mystical side of this Creed as a native element of antagonism to the most essential doctrines of Islam. Widespread as is this unorthodox mysticism, it has been, and still is compelled to keep itself to a certain extent hidden. Events may, however, possibly, sooner or later, bring it to the surface, and endow it with practical significance. For as in the Christian West there has ever been a continuous protest both on the intellectual side by philosophers, and on the religious side by mystics, against the more distinctively Semitic doctrines of Christianity, so it has also been in the Moslem East in the Schools of the Dervishes, both among the Persians and the Ottomans.